As the President and founder of the New Jersey Basketball Academy, Coach Maranz oversees the entire operation of the Academy. Established to provide quality basketball instruction at an affordable cost, the New Jersey Basketball Academy has emerged as the premier source for basketball instruction in the state of New Jersey.Bill has an extensive background. Thirteen years as a collegiate basketball coach at Saint Peter's University (Division I), Adelphi University (Division II) and Babson College (Division III). In addition, Bill has also coached for five seasons at the professional level in the United States Basketball League (USBL) with the New Haven Skyhawks and the Long Island Surf. 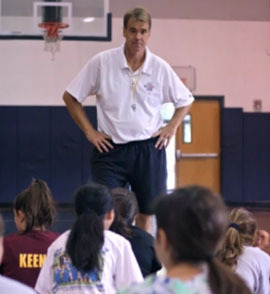 Besides directing the New Jersey Basketball Academy camps and clinics, Bill also has directed camps for NBA players Brook Lopez,Mason Plumlee, Jason Collins, Brian Scalabrine, MarShon Brooks, Nenad Kristic, Marcus Williams as well as the New York Liberty of the WNBA. Highly regarded in basketball circles for his basketball knowledge, enthusiasm and innovation, Coach Maranz has been a member of the National Association of Basketball Coaches for over 25 years. 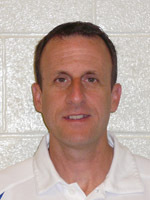 Coach Capstraw has over seventeen years of Division I basketball coaching experience and a wealth of basketball knowledge. A former standout baseball and basketball player, Tim balanced both sports as a collegiate athlete at Wagner College. Upon graduation, Tim's athletic success was a springboard to an ambitious coaching career. After a successful stint as an assistant basketball coach at Siena College, Tim became the Head Basketball Coach at his alma mater Wagner College. For ten years, Tim was the Head Coach at Wagner College in Staten Island highlighted with the 1993 Northeast Conference Coach of the Year Award. Regarded for his teaching, instructing and enthusiasm, Tim is presently the radio color analyst for the Brooklyn Nets and a television basketball analyst for the YES Network and NBA TV. Basketball fans can also share in Tim's insight as a contributing columnist for College Hoops Insider. A frequent guest on numerous radio shows throughout the country, Tim is also a motivational speaker for corporate banquets, meetings and community events. Additional staff includes local college coaches and players as well as high school coaches.